Cryptocurrency might seem too techie and confusing for the average New Zealander, but one pair of siblings have set out to change that with a platform that makes investing in cryptocurrency easy and accessible for everyday Kiwis. Easy Crypto, created by brother and sister Alan and Janine Grainger, is an online platform which allows Kiwis to purchase a range of cryptocurrencies, from the more well-known like Bitcoin and Ethereum through to lesser-known currencies such as Stellar or Nano. Which currencies are ‘stocked’ is decided for the people, by the people, with a voting system available to customers who want to weigh in on which cryptocurrencies should be added next. “We have both been investing in cryptocurrency for a number of years, and have a strong belief in the potential of cryptocurrency and blockchain to improve the world and change how society and our economies work,” shares Easy Crypto Founder Janine Grainger. Enter Easy Crypto. 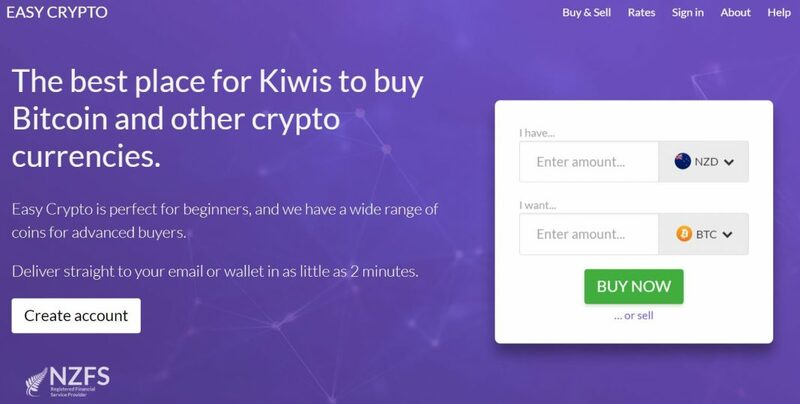 The selling point of the new platform is its ease – as the only end to end service in New Zealand, users can not only buy and sell cryptocurrency, but also easily set up an online wallet in which to store their investments. Launched at the beginning of the year, Easy Crypto is already servicing thousands of Kiwis, with an average investment of $844 (although investments can be made in any size from $100 up to $10,000). “We’re really here for customers who aren’t wanting to sink massive amounts or life savings in, they just want to try it out – Easy Crypto is the place for everyday people to give it a go,” shares Alan. Another concern of many looking to invest in cryptocurrency is its legitimacy, and how to protect themselves against scams. For Easy Crypto, they didn’t want to be lumped in with other investment platforms and instead focused on establishing themselves as a legitimate, trusted business within New Zealand. Of course, starting a business with a family member isn’t always the best route to go down – but in this case it seems to have worked quite well for the brother sister pair. For more information, or to start investing in cryptocurrencies, visit www.easycrypto.nz.